Support 2G/3G/4G Networks with a data speed of Download Up to 21.2 Mbps, Upload Up to 5.76 Mbps in 3G UMTS and 150/50 Mbps in 4G network. Price – $199 Approx After 12% Discount. Yes Support Opera Mini, Google Chrome, Support HTML 5 Browsers. Nice battery backup and camera combinatiina. 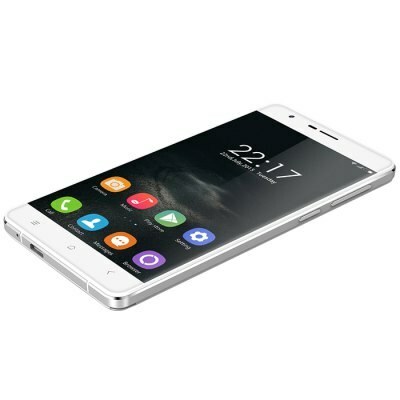 You know why this phone is so popular in 2016 and starting of 2017, it has one great feature 7000mAh battery, with very long hours of backip continuously 78 hours of music playback and 24 hours of video play, if we discuss more about this smartphone camera also nice with back and front with great combination and quality prefered, color option are the advantages, big size screen to big in size and finally 8 core with high clock speed processor has above average performance. I am looking for one unit of oukitel phone, can anyone suggest me to where from I could order at low price and shipping as well. Side edges metal and dual powerfully included camera. Wow such a powerful smartphone with big battery which gives us at 70 to 75 hours music playback time and 60 to 62 hours of talk time, metal edges design, dual advance camera with 2k photograph, GPS with glonass and USB with OTG cable supportive. looking for good smartphone and its master piece now. Well i am now unable to find the phone online, can anyone suggest me to where will i have to move to buy one unit of this smartphone, because my expert friends says that it's master piece with this budget, you don't need to think about other smartphone at this time, just select store and buy one, but i am not getting it, 3GB RAM is enough for users like me, i play games often and play youtube videos so i am looking for great display quality and bit more speed smartphone now. I live in India, and now my budget for purchasing new phone is 12000 INR so can anyone suggest me smartphone with good features and less price, but ultimately i willing to pay up to INR 12000 for real hardware phone, because now days i see many smartphone with only specs nothing work good, but mi samsung, apple, huawei working really well in that sector so i want to try something different brand now. The main configuration liked is GB RAM, 64GB ROM, Display size is bigger than my needs, back camera specs are so nice the first time when i see display and outer design seems to be modified version of apple iphone 4s but after see its like good than apple and weight is heavy than any other smartphone i have ever used. my point goes to it 8.2 out of 10 points. Superb display, I like back camera performance but it does not support 4k video through back camera. Display out of order after 30 days. Telephone U13 totally out of order after 35 days. I have document showing oned year warranty, but you get no warranty. The supplier is cheating you. Dont buy Oukitel U13, dont buy from Aliexpress.